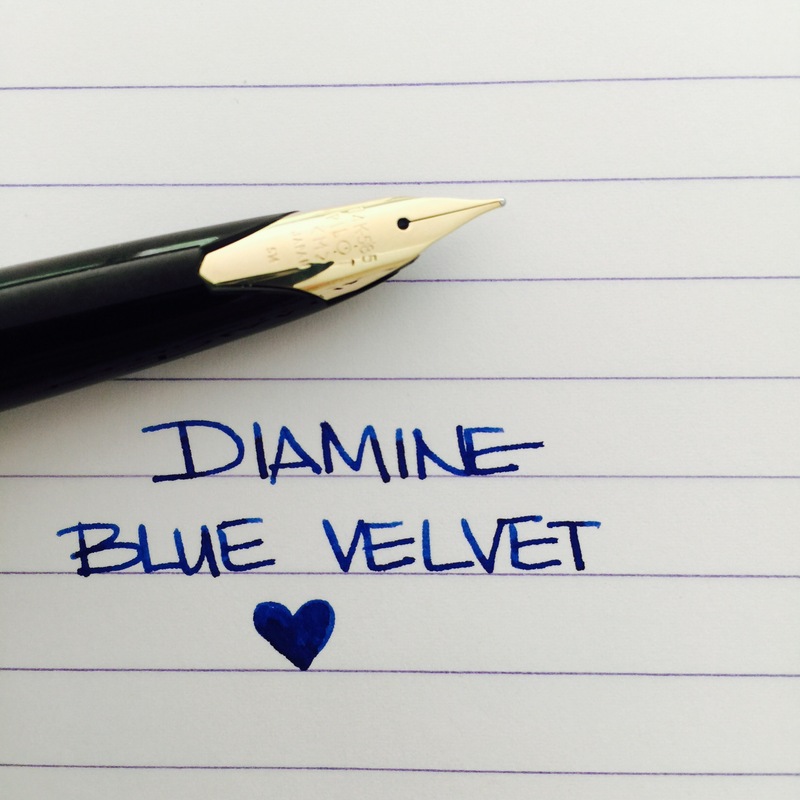 Blue Velvet is part of the Anniversary Collection from Diamine to celebrate the 150th anniversary of the brand. 150 years! 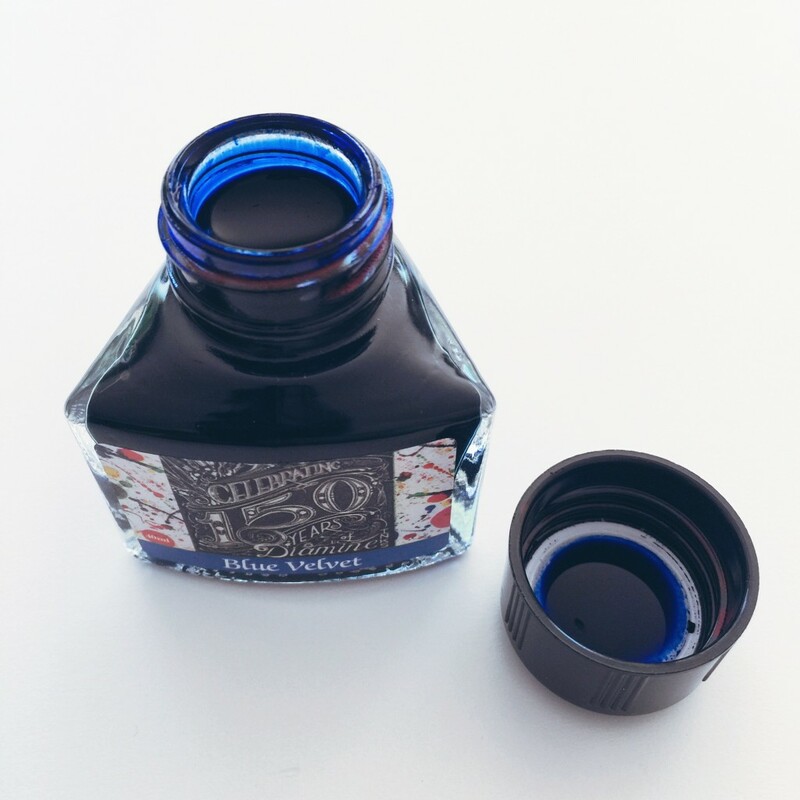 The collection is comprised of eight different inks in these fancy wedge-shaped bottles. 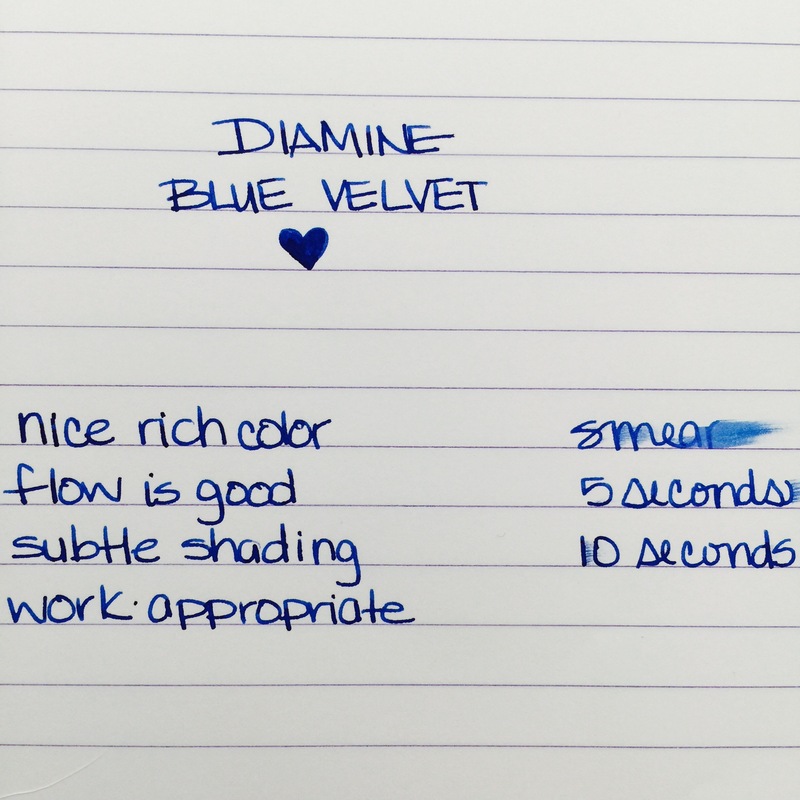 I’m just going to put it right out there – I LOVE Diamine Blue Velvet. Big love. Letting the pictures do the talking here . 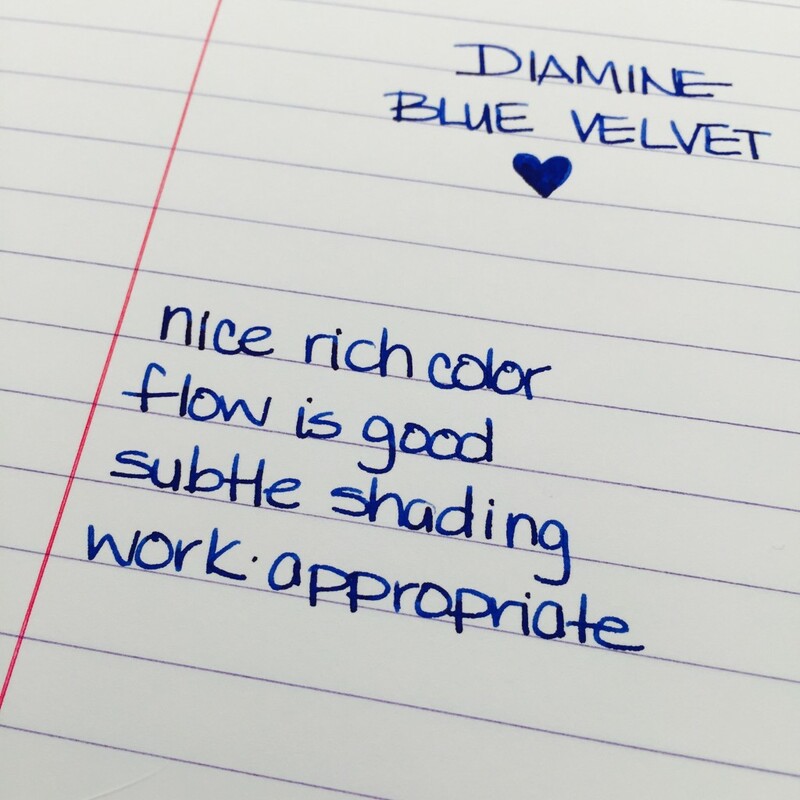 . .
Bottom Line – amazing color, some shading, great saturation, flow is excellent from the Pilot Elite I tested with (more on that pen another day). Big love. Big honkin’ love. This entry was posted in INKS, LOVE and tagged blue, diamine, ink review by Christine (Pentulant). Bookmark the permalink. 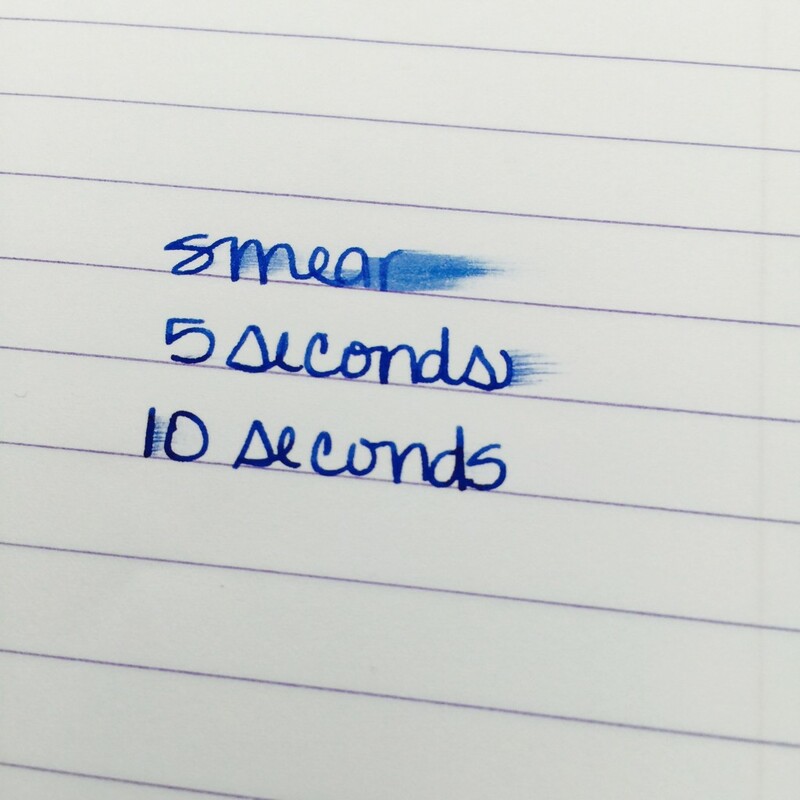 What paper are you using here? 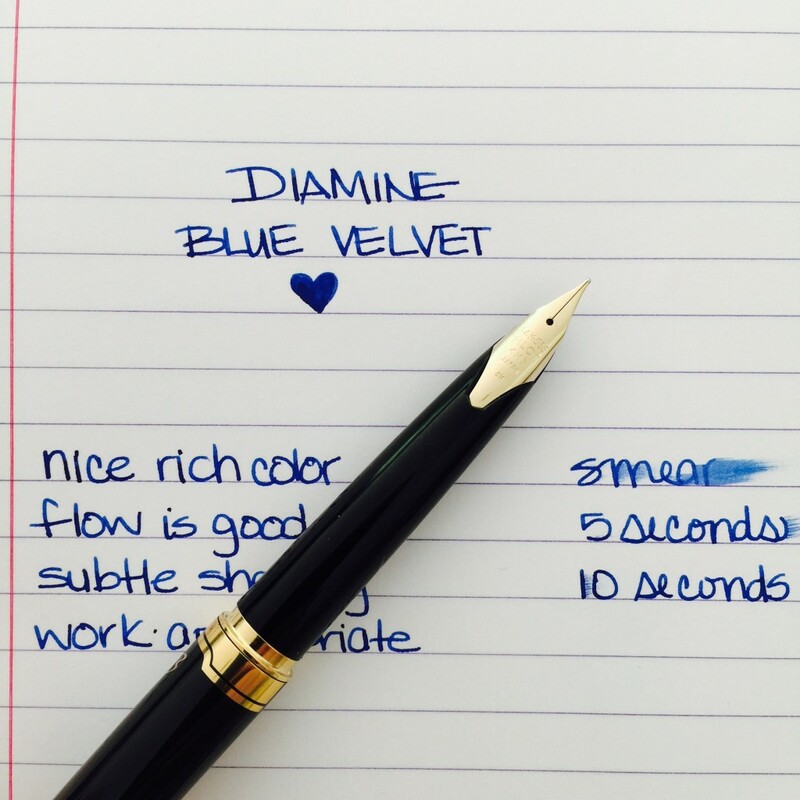 Lovely color! Thanks! 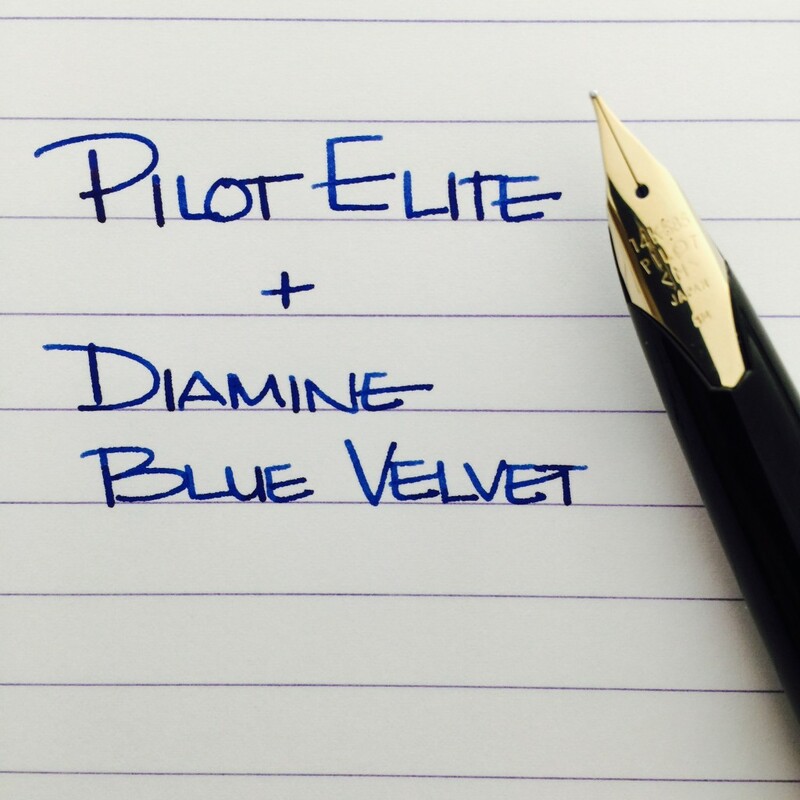 Very nice pen-ink combo… What is the nib size of your Pilot Elite?